The 4 x 4" Green CC25G Color Compensating Polyester Filter from Lee is designed to control and balance color, which absorbs the reds and blues from the color spectrum. 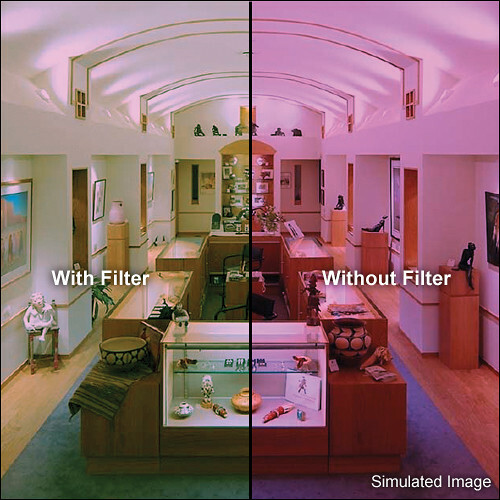 The filter will also compensate for deficiencies in different light sources like tungsten or halogen lights. Certain older color films, when the colors have weakened over time, can also be color corrected to enhance the quality of the image. This filter has a filter factor of 1.3, which increases your exposure by 1/3 of a stop. The green filter absorbs the red and blue colors from the visible spectrum, which can compensate for deficiencies in different light sources or color corrects color film. This filter has a filter factor of 1.3, which increases your exposure by 1/3 of a stop.